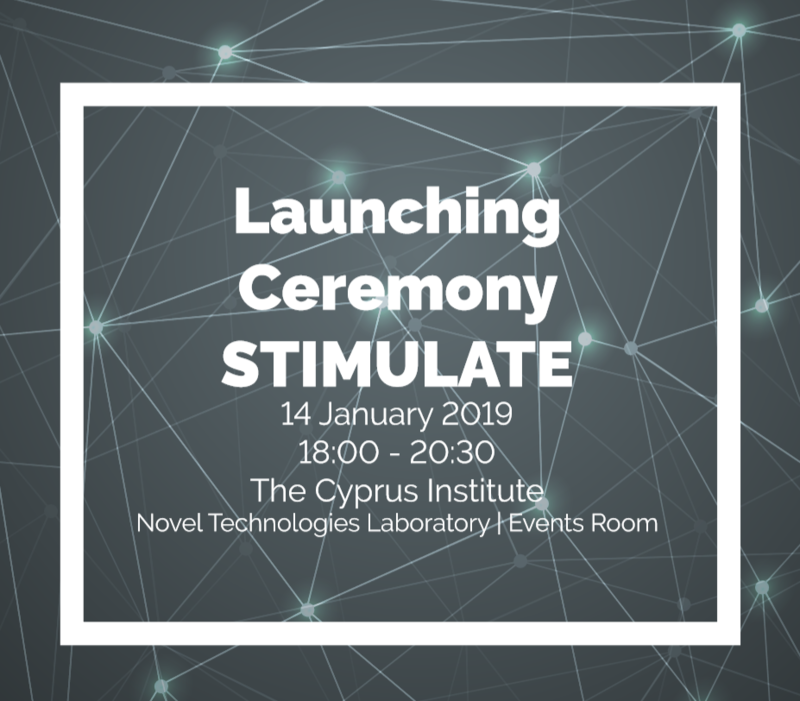 It is with great pleasure that we invite you to the ceremony of the official launching of the European joint PhD program in the field of simulation and data science entitled "Simulation in Multiscale Physical and Biological Systems (STIMULATE)", which is coordinated by The Cyprus Institute (CyI). The ceremony will begin at 18:00 on January 14, 2019 at the Cyprus Institute's premises. The program is funded under the Marie Skłodowska-Curie actions of the Horizon2020 program and is the second European Joint Doctorate program in which the CyI is the coordinator. This is a great success for Cyprus as coordinating country, and demonstrates the attractiveness of the innovative doctoral programs being pursued at the Cyprus Institute and the potential for cooperation at European level. The program involves in total 14 partners from across Europe. We expect representatives from the universities of Rome, Ferrara, Aachen, Wuppertal, Berlin, Cyprus and the Hebrew University of Jerusalem, which will deliver the joint doctoral degrees. The partner academic institutions and private companies participating in the program (IBM Research GmbH, NVIDIA GmbH, MAGWEL NV, DESY-Zeuthen, Jülich and The Cyprus Institute of Neurology and Genetics) will be also sending representatives. The Minister of Education and Culture, Dr. Costas Hampiaouris, and the Chief Scientist of the Republic, Mr. Kyriakos Kokkinos, will address the ceremony. Attendees will have the opportunity to engage in constructive discussions on the role of research and scientific training in Europe. SimulaTIon in MUltiscaLe physicAl and biological sysTEms (STIMULATE) is a European Joint Doctorate Program funded under the Marie Skłodowska-Curie Actions and its overall goal is to deliver an innovative interdisciplinary educational and research program in simulation and data science. STIMULATE offers 15 PhD Marie Skłodwska-Curie fellowships in a rigorous networkwide training program and research projects that combine mathematical modelling and algorithms for exascale simulations and data-intensive science with applications in the fields of Computational Fluid Dynamics, Computational Biology and Particle and Nuclear Physics with focus in lattice Quantum Chromodynamics. Experts from eight degree-awarding institutions, three research centers and three companies are engaged in the project. Each of the fifteen fellows of the program will obtain a single joint Ph.D. degree from three academic institutions.